Description: Live large in brookdale. Enjoy over 2600 sq ft of living space in this 4 bed, 2 full/2 half bath home w/den/office. Prof finished bsmt offers flexibility for play space, entertaining, and 2nd office. 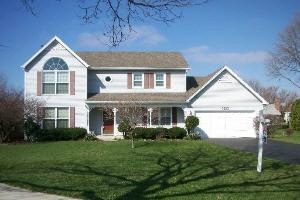 Move right in to a beautiful home with newer kitchen and carpet. Furnace, a/c, roof, windows, and water heaters replaced in recent years, saving you maintenance headaches. On a cul-de-sac w/ extra long driveway. Great!